Hundreds of runners will be denied the opportunity of competing in the North Eastern Road Relay Championships at Hetton Lyons Country Park on Saturday. Council red tape has forced the North Eastern Counties AA to call off the event after talks failed to find a solution to the problem. 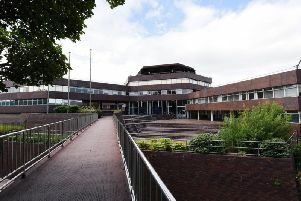 Sunderland City Council asked a representative of hosts Houghton Harriers to sign a Licence to Occupy, which placed unlimited liability on the signatory. The club declined to sign. The long-standing event is automatically covered by UK Athletics, who provide Public Liability insurance for £50-million for all licensed athletics events. The NECCA committee wrote to the council in October asking for a meeting after encountering considerable difficulties over the same insurance problem in the 2018 Road Relay. The letter went unanswered. 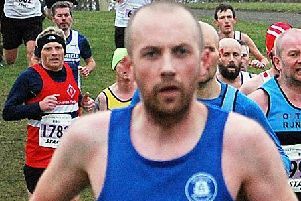 This would have been the ninth running of the event held at Hetton on a course that has proved ideal for road relay running. This came about after a number of venues around the North East became redundant due to traffic issues. It proved a very popular move as the venue saw record numbers of runners turn out to make it a top class relay race with many internationals involved. Following the breakdown in talks, the North Eastern Counties have made the following statement: “It is with regret that we have to inform you that the event on February 16, has had to be cancelled/postponed. “This is due to Sunderland Council taking a very unreasonable position, asking for individuals to sign documents accepting unlimited liability, ie the £50-million cover offered by the usual UKA Road Race permit, not being acceptable to them. North East Counties AA chairman Bill McGuirk said: “It’s hugely disappointing that the North Eastern Counties Signals Road Relay Championships has had to be cancelled. “The Association has had a good working relationship with Sunderland Council in the past as far as the relays are concerned, an event which attracts teams from all corners of the region. The relay was launched in 1920 and it was run, ironically, from Sunderland to Catterick over 10 stages. From 1934-38 the event became a marathon, before becoming a relay again in 1939. Over the years it has attracted the cream of North East distance running, including Olympic medallists Brendan Foster, Steve Cram, Mike McLeod and Charlie Spedding. Next year it will be the event’s centenary. It is popularly known as the Signals Relay after the Royal Corps of Signals, who were affiliated to the Association and based at Catterick, presented a trophy to the Association in 1927, and it is still in use to this day. With the disappointing cancellation of the Signals on Saturday there are still two events that take place on Sunday. The Valentines 10km takes in two laps of Newcastle’s Town Moor. It starts at 10.45am. And Sunderland Strollers host their first East Durham Trust 5km appox, with the start and finish at Nose’s Point car park in Dawdon. Runners head along cycle paths towards Seaham, turning opposite Asda and heading back to Nose’s Point, with a small loop on paths towards railway line to make up the distance. The race starts at 10.15am.